privileged to host its tour stop August 24-26. The event is published on the EAA website. The local heavy lifting will be provided by EAA chapter members, the Waukegan aviation community, and anyone else interested and able. John Cecilia 414 – jlcecilia96@gmail.com Volunteer & Equipment. Chairman responsible for making arrangements for equipment and recruiting, scheduling, and briefing volunteers. 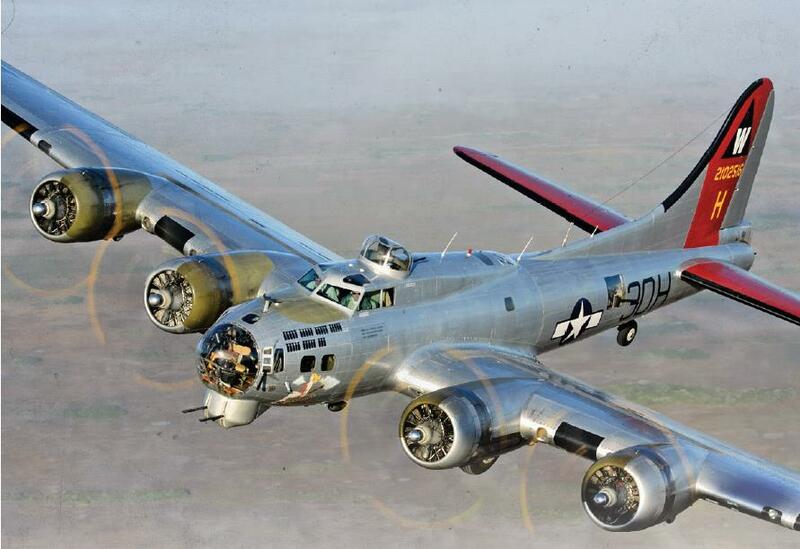 Onsite Event Volunteers – 4-6 people are necessary to host the B-17 tour operations. They assist with ground tour operations in the afternoons, general crowd control and information services for guests, and merchandise sales as needed. For those of you interested in playing a part in this event please send John an e-mail message. Paul Alleman 414 – pallem@aol.com Marketing Chairman. Coordinates promotions and advertising, contacts local media, and seeks sponsors and donations of ad space, and getting a story written and published about the upcoming event. Ensure printed materials are distributed throughout the community. Invite advertising outlets to the complimentary 10 passenger media flight on Thursday. For those of you with an interest in sponsorship, donations or with a marketing prowess, please send Paul an e-mail message. Sam Battaglia 414 – sambatt@comcast.net Tour Stop Chairman & Javelin Catcher. Tour stop chairman has overall responsibility for the B-17 visit. Serving as a liaison to the crew. The main contact with EAA headquarters. Relays all pertinent information to the Chapter, the FBO, and airport. For those of you with comments, or having questions that don’t fit anywhere else, send them to Sam and he’ll figure it out.